When this checkbox is set to ON only the Night Temperature slider will work. The Day Temperature slider will not work. What this checkbox basically does it to use only the Night Temperature all the time day and night. 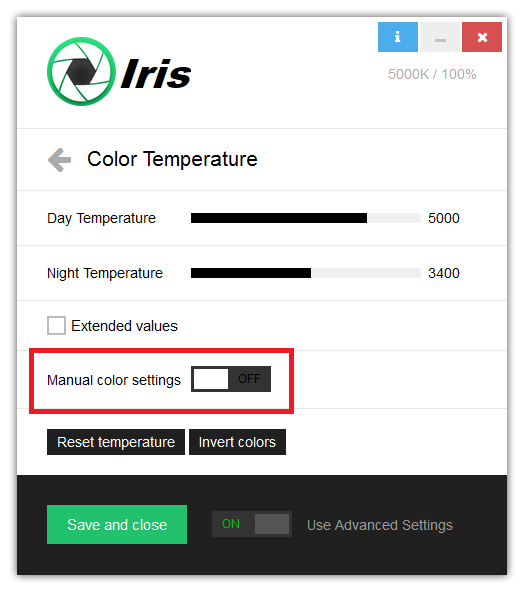 It’s useful when you want to control Iris by hand all the time.